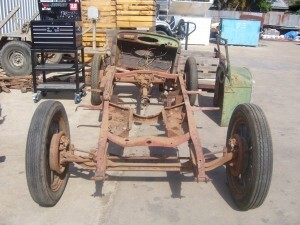 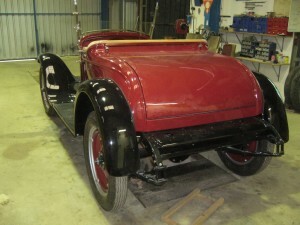 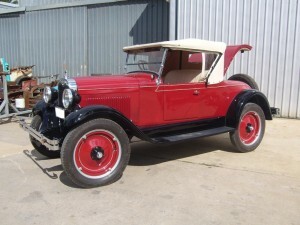 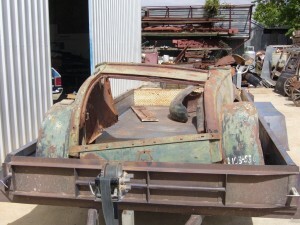 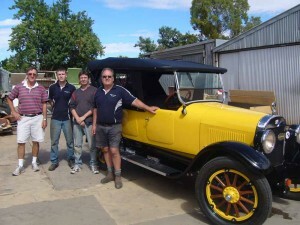 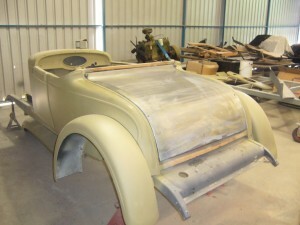 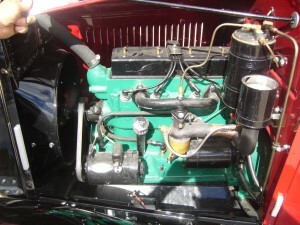 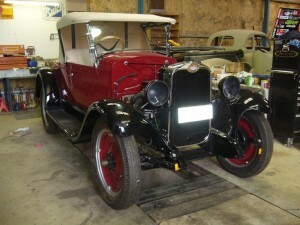 The body and chassis as delivered to Goode Restorations. 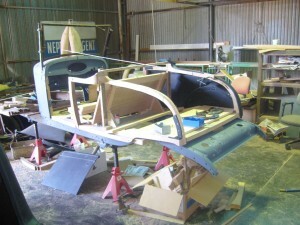 The wooden body taking shape. 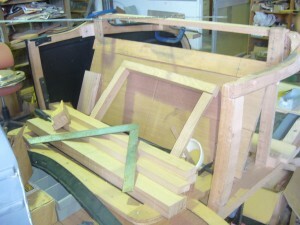 The wood around the doors and seat area. 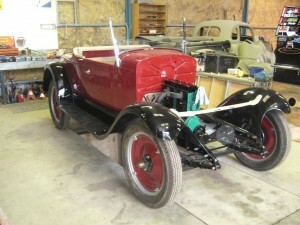 The body, guards and bonnet repairs completed. 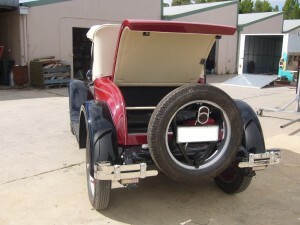 A test fit of the boot lid. 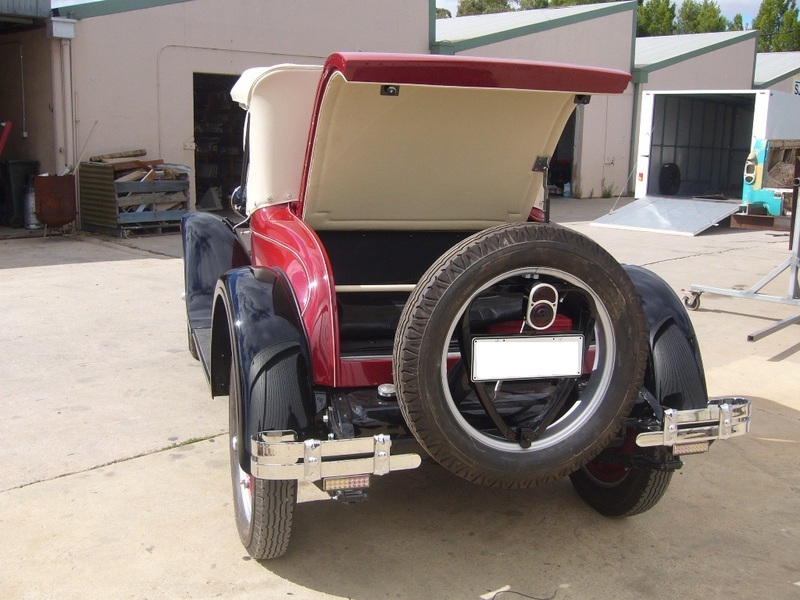 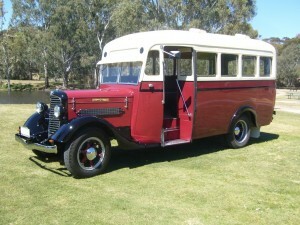 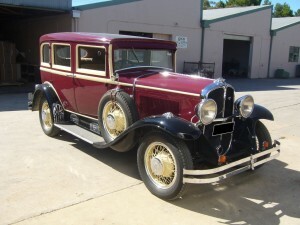 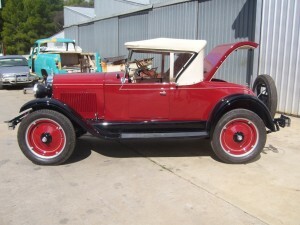 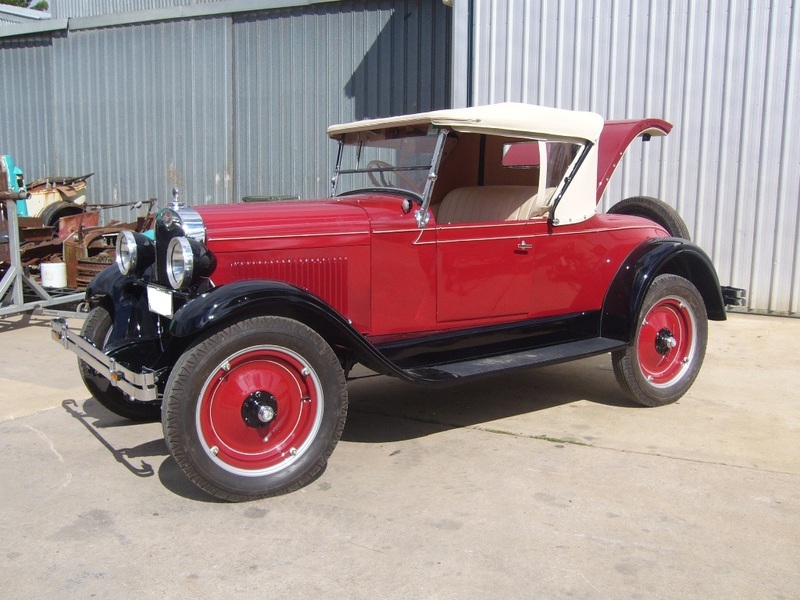 The wooden frame was made at Goode Restorations from stratch and was skined in Adelaide. 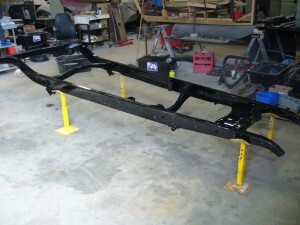 The sandblasted and painted chassis ready for reassembly. 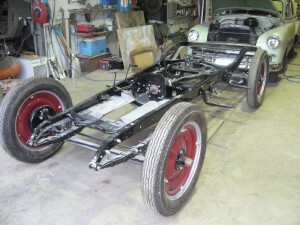 Suspension, gearbox and diff fitted to the chassis ready for the engine and body. 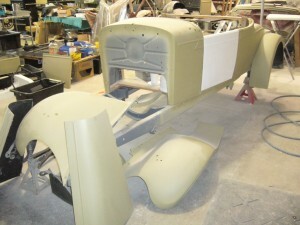 Engine, body and guards fitted up ready for trim. 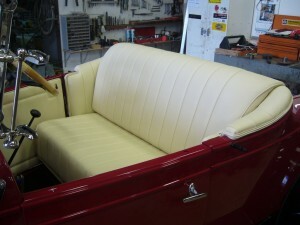 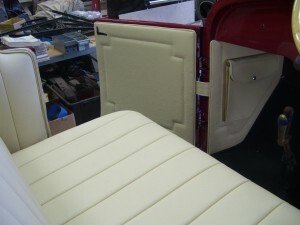 Seat and door panels trimmed. 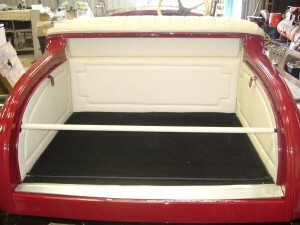 Boot carpeted and side trim panels fitted. 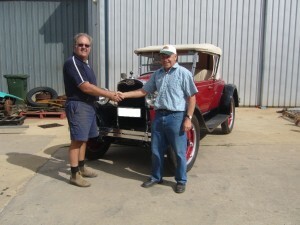 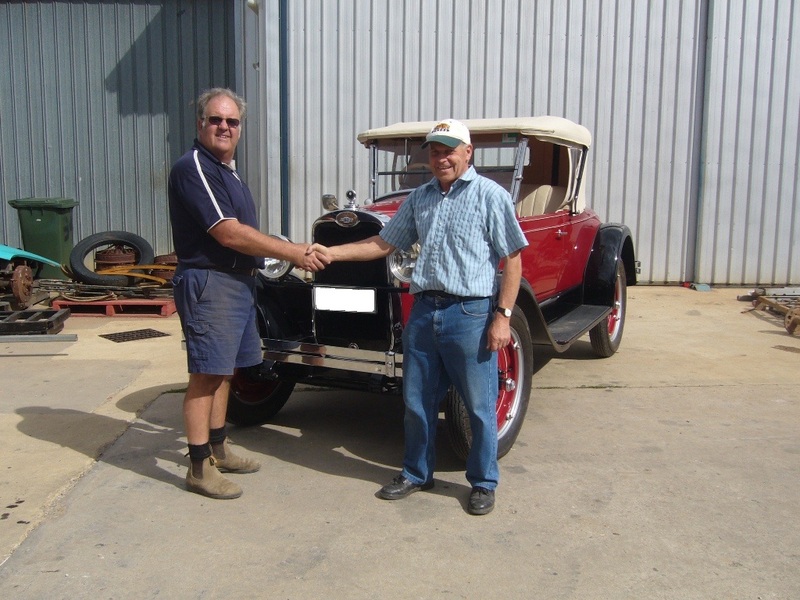 The finished vehicle with the proud owner.